La Trobe University has offered a program in Art Therapy continuously for over 20 years. 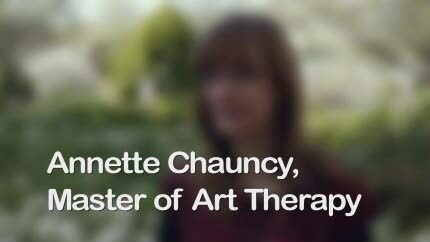 We offer a Master of Art Therapy (MAT) degree for students wanting to train to become Art Therapists. Art Therapy is a practice which combines the creative potential of art making with the relational skills of counselling set within a therapeutic environment. The La Trobe Art Therapy program is based on the principles and values of humanistic psychotherapy and provides students with a range of perspectives to practice in clinical, educational, rehabilitation and community contexts. The teaching method incorporates experiential, theoretical and practice-based learning approaches. The course also provides students with extended hands-on supervised placement training over 750 hours. The combination of learning strategies adopted by the course equips students with a rigorous platform from which to begin independent practice upon graduation. Students undertaking the La Trobe Art Therapy course develop the language and theoretical skills to engage in clinical settings with a range of mental health professionals as well as the therapeutic and relational capacities to work with people from a range of disciplines such as teachers, community workers, artists and other non-clinical occupations. Students who complete this program successfully receive training, skills and practical experience to enable them to practice as art therapists in clinical settings including hospitals, community health programs, rehabilitation services, in education and psychiatric settings, in aged care, palliative and forensic centres, with people experiencing substance abuse, eating disorders, rehabilitation, and numerous other health care needs. Practical placements are an important part of our art therapy courses. We have a strong network of clinical placements in social, community, education and health contexts including early intervention and infant services; mother and baby units; special education; child and family services; child, adolescent and adult mental health facilities; drug and alcohol services; physical disabilities; palliative care; intellectual disabilities; forensic settings and aged care. La Trobe designs its courses with your future career in mind and partners with a range of professional organisations for accreditation and registration. Refer to the detail for each course above to see what professional registration and membership options exist. La Trobe has a great national reputation for its health sciences, especially the art therapy department.